One year on from the Age Grade Competition Review and the development of aspirational rugby the EMRU representative programme has been recognised as a development route to representative rugby for the EMRU Constitutional Body (CB). In addition, it is a further route to England Counties representation. It can also be integrated within the Northampton Saints Academy Player Development Group (PDG) as part of a player’s personal development from U16 through to U18. From initial talent identification within various sources within the CB area, i.e. School, College, Development Player Programme (DPP at U16) or Rugby Club, the successful player can expect the opportunity of joining a squad of similar players of a potential ability to play rugby at a higher level and earn County Colours. The player can expect an above average engagement with past Professional Players and advanced Coaches through the programme. At this stage an U16s player can expect to be part of a larger squad representing an A or B team. This will be reduced to one squad at U17s and U18s. The purpose of the EMRU U17s squad is further development at a higher level than schools, college club and preparation for grading at Midlands level with EMRU U18s. The Northampton Saints PDG is the Professional Pathway and Northampton Saints PDG is the Regional Academy in the EMRU area. It is likely that a player may benefit from participation in both PDG and EMRU Representative Squads as the two entities work ever closer in player development. 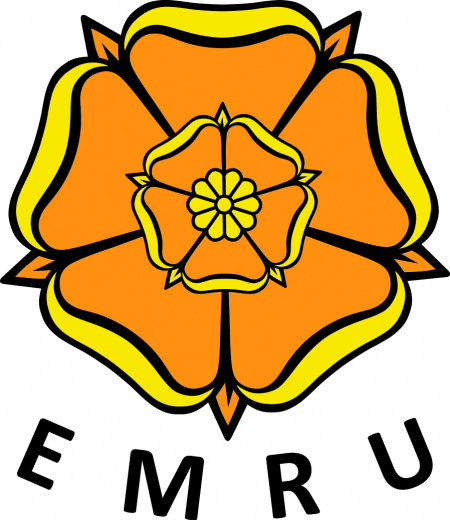 Following on from U18s representative rugby, it is anticipated that those players identified will have further opportunity of EMRU representative competitive rugby in the County Championship. The competitive level of rugby at this age is still considered development (Rugby Union is recognised as a late development sport. Source: England Rugby Symposium 2013). This can be viewed as window to National League and Championship Rugby.